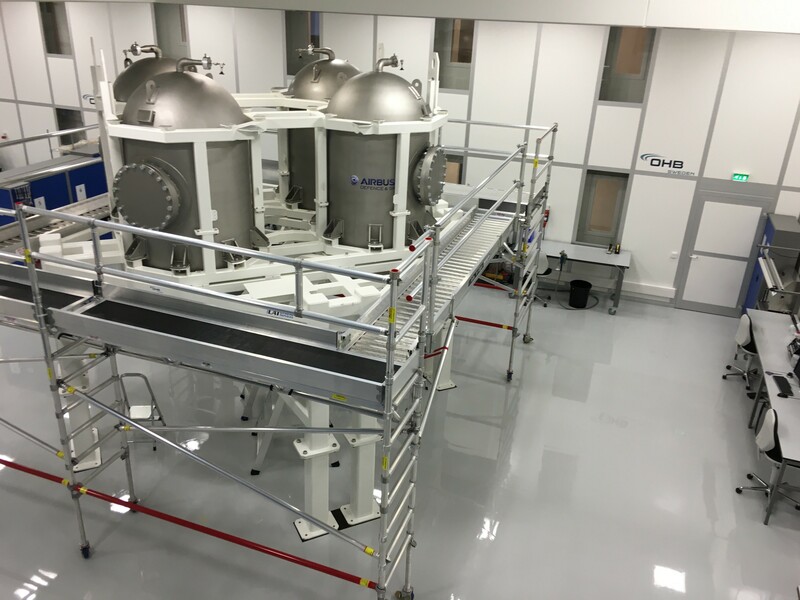 Propulsion Qualification Model (PQM), including the structure and the propellant tanks, ready for the start of integration activities at OHB Sweden. 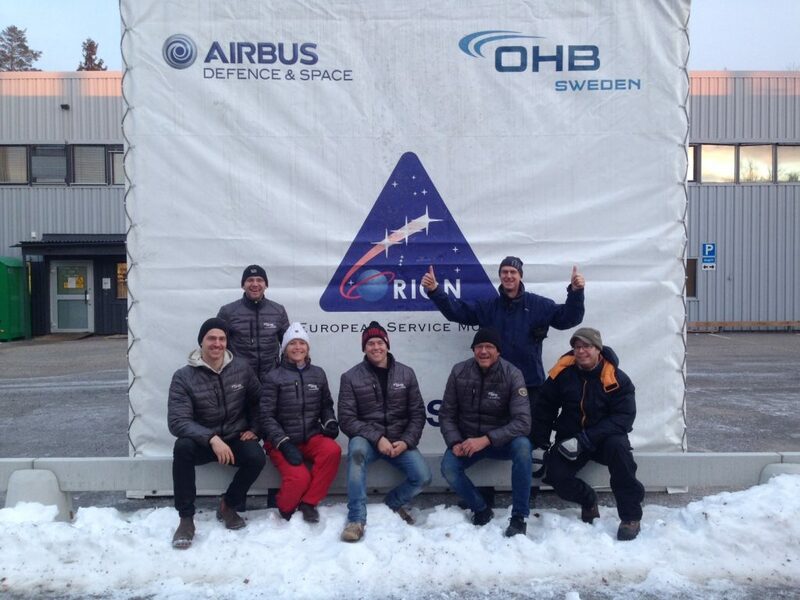 OHB in Sweden is assembling, integrating and doing initial testing of the European Service Module Propulsion Qualification Model (PQM) that represents the propulsion system for testing purposes. 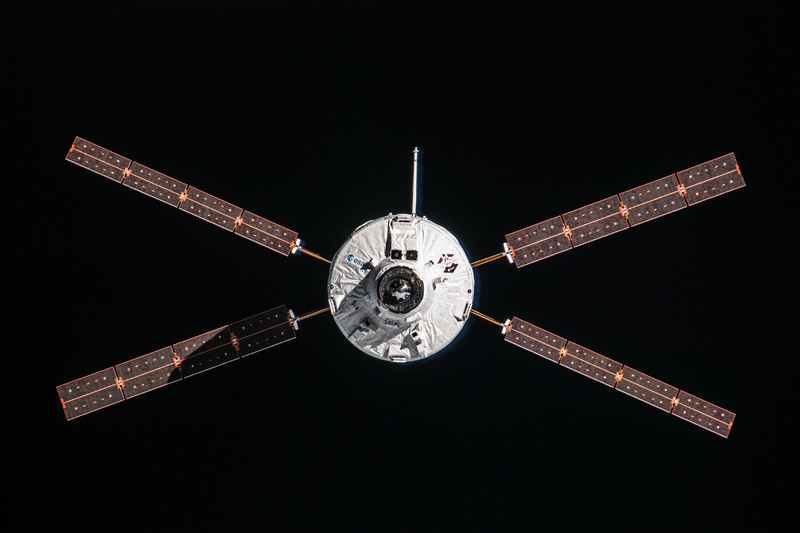 It is much heavier than the final module as it will not be launched into space. It serves an important role in the development of the Orion spacecraft as it allows engineers to show that everything works as planned. 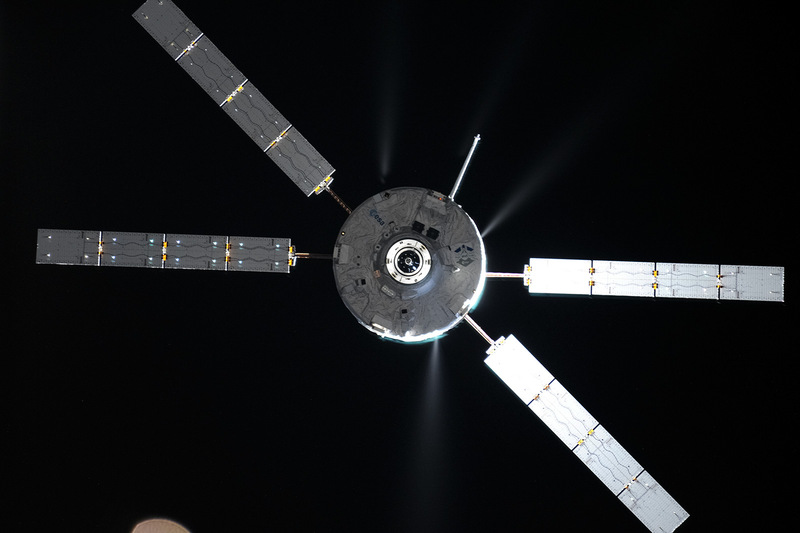 The Propulsion Qualification Model is made of solid steel. Its dimensions are 4.1m x 4.1m x 4.6m (length x width x height). four stainless-steel tanks of 2000 litres each and a wall thickness of one cm. The tanks will hold the propellants at a pressure of 25 bar with a total capacity of nine tons. 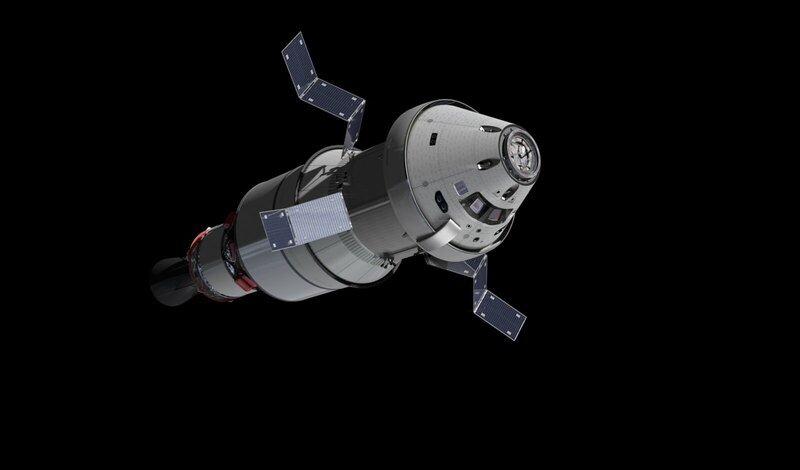 engines that will propel and orient Orion. eight auxiliary thrusters and 12 smaller thrusters produced by Airbus Safran Launchers Lampoldshausen, Germany. The assembly was completed in January in Stockholm, Sweden and the model is packed up and ready for shipment to the White Sands Test Facility in New Mexico (USA). There it will be tested extensively including “hot-firing” where the auxiliary engines will be fired for real in tests ran by Airbus DS. Packed and ready for shipping. PQM container.